Nike has won plaudits for its high-performance sports hijab, but for women wanting ‘modest’ sportswear, that’s as good as it gets. As such, the founders of Qatari modest sportswear startup Oola (‘pioneer’ in Arabic), amateur sports women themselves, were not exactly surprised to find themselves alone in the Middle East. “I approached large companies and I suggested 'look if you make a few tweaks in your styles you can cover a new market'. 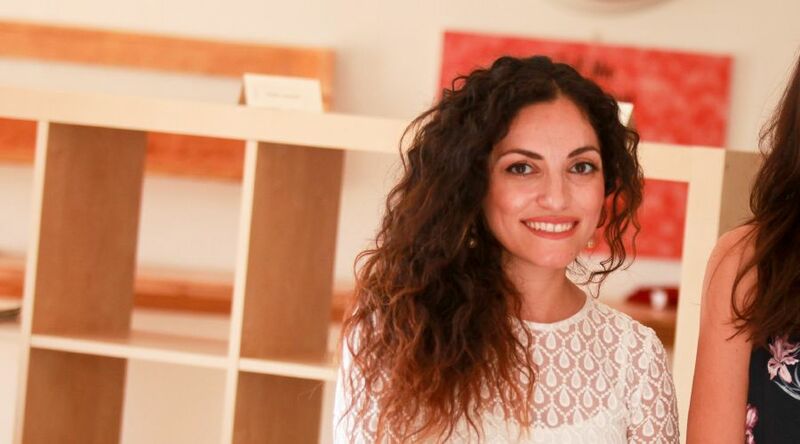 They're like ‘no we're not interested’,” cofounder Haya Al Ghanim told Wamda. Oola makes the full kit, from triathlon swimsuits to running abayas, and has beaten major sports companies to a large regional market. In the city of Dubai alone the sports apparel sector is worth $1 billion. Sports hijab makers have appeared over the past few years, such as Dutch company Capsters, but despite the increasing number of Muslim women competing at the highest levels of international sports, no one appears yet to be thinking about the rest of the outfit. Oola began as a complaint in the gym. 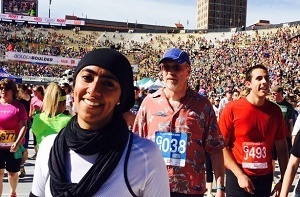 Al Ghanim was training for a half marathon alongside her friend and now-cofounder Amina Ahmadi, who was training for a trek up Mt Kilimanjaro. Daily they’d bemoan the dearth of modest sportswear options, until one day Al Ghanim said she was serious about doing something, although she wasn’t sure what. They wanted to make something practical yet fashionable, something Al Ghanim would be happy to wear to a cafe after a race for a celebratory coffee, instead of doing a final sprint home to change. It took almost a year of desk research and legwork from June 2015 to identify the right product and the right market, and pull together a team (they are five women and one man). 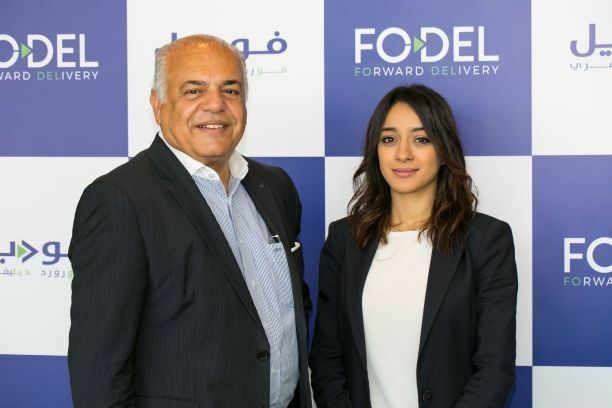 They joined the Qatar Business Incubation Center as they launched the company with an Indiegogo crowdfunding campaign in October last year. 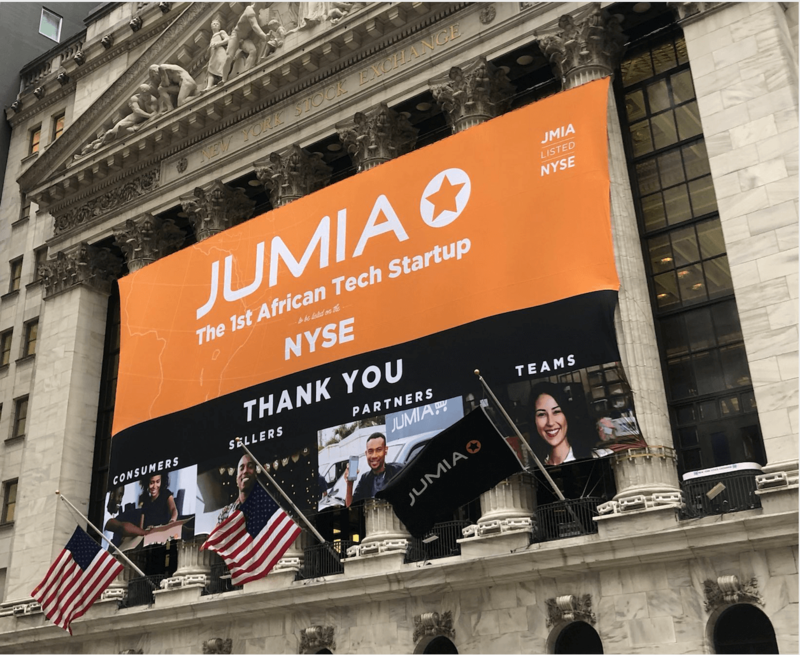 They finished delivering the last of the crowdfunded products by the end of January, and in February began stocking their initial line of technical hiking gear, loose-fit running clothes and head coverings in three Sports Corner stores in Doha. Al Ghanim said the average sales growth over those two months was 160 percent. Euromonitor research analyst Amna Abbas said there had been a global trend towards modest sportswear for a few years, sparked in part by the invention of the burkini. The introduction of the high performance Nike Pro Hijab, due to go on sale in 2018, was a sign that major Western brands could be beginning to take an interest in the modest sportswear category. But Abbas said women in the GCC still generally prefered the same kinds of sportswear as women in the West, and the regional economic downturn caused by lower-for-longer oil prices was having an impact on sales. Nonetheless, sportswear was seeing more and more interest from people looking to lead more healthy lives. Oola has found there is demand for 'modest' exercise clothes made with technical fabrics in the region. 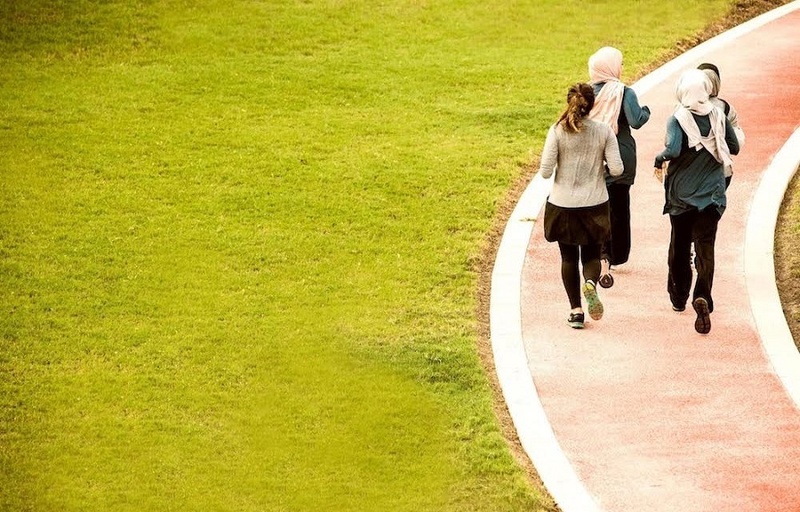 Al Ghanim says aside from the hijab, their clothing is not specifically targeted at Muslim women - they're well aware that loose-fit workout gear is likely to have an appeal in Western countries as well. Al Ghanim said they’d received an overwhelming number of requests for swimwear since launch. The sight of a woman broiling in a black abaya next to a pool while her family swims is a familiar one in the Middle East, but for those who do venture in even a burkini is not a perfect solution. “There are a lot of options for burkini in the market but they're ugly and not very functional. So if you get the modesty or the loose fit parts, the functionality is often not great, so we're trying to work out that sweet spot of stylish and functional,” Al Ghanim said. Burkinis are also not performance sportswear. Oola is working with Texas A&M University Doha athlete Doaa Awad to create a loose fit triathlon suit. “We heard from the Doha Triathlon Club that... she was struggling with the type of clothing she wears, especially in transition between swimming and cycling. She would have to take a longer break [to] change her clothes to get onto the bike,” Al Ghanim said. 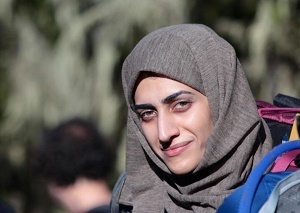 Awad had struggled with the clothing transition between the swimming and cycling stages in triathlons, having previously used a wetsuit as an underlayer and a dress on top to hide her shape. Oola designed a ‘dress-like’ tri-suit with a dress-like look with a strap to allow it to be pulled tight in the water, which Awad tested last weekend. Oola is part of a broader global trend towards modest fashion. Designer fashion ecommerce site The Modist launched in March, with offices in London and Dubai, while in Turkey there’s Modanisa. At Egyptian fashion publication Fustany, the best performing articles are those about how to tie a hijab, and how to mix and match your headscarf colour with your outfit. Fustany founder Amira Azzouz said four years ago modest yet fashionable clothing was hard to find in the region. “Three to four years ago it would have been super hard for women who prefer modest fashion to find something,” she told Wamda, as her mother, who was interested in modest clothing, could only find pieces that looked good when she travelled abroad. The shift came in 2014, when DKNY released a Ramadan collection specifically for the Middle East market. Since then over 20 haute couture and ready-to-wear brands have courted the Muslim woman, from Dolce & Gabbana’s hijab and abaya collection to Mango’s 2016 Ramadan line which faced criticism for both the clothing and the models. “The international brands are realising it’s more of a need, and for them to tackle the Arab market in a better way is by offering something that’s much needed,” Azzouz said, hoping it would also spur local designers to consider it as well.